I took photos of myself with public art, because it seemed like the thing to do. 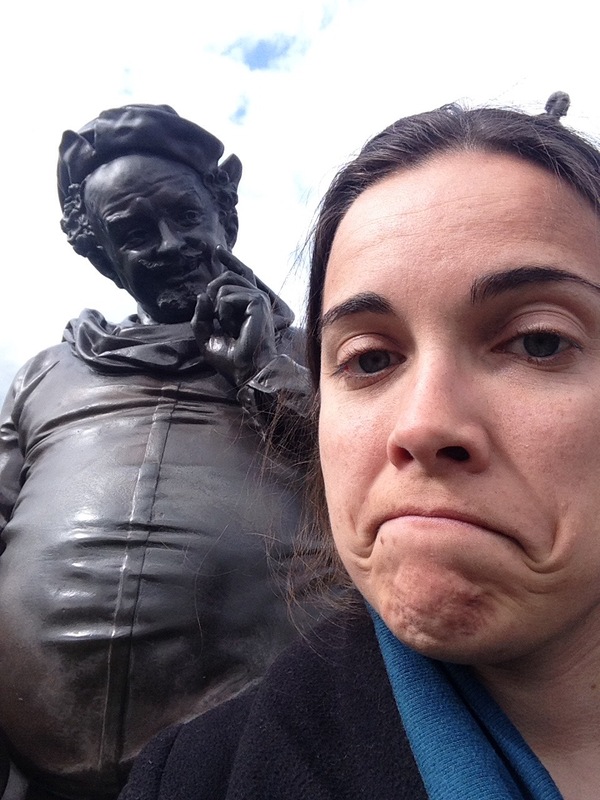 There were famous characters like my bro Falstaff (whose statue from over a century ago looks tailor-made to be in a selfie) and a newer statue of the man himself, put in this year. We visited two historic houses: Shakespeare’s birthplace and Hall’s Croft which was built for William Shakespeare’s daughter. When it comes to historic places this old, I’m always fascinated to learn the history of the sites between what they interpret (in this case, the lives of the Bard and his family in the 1500s/1800s) and the 20th century (when they came to be managed as protected historic sites in the way we would recognize them). They did have a photo gallery in one of the exhibits at Shakespeare’s birth house, which showed a series of historical images of the site. Some of the photos dated back to the 1850s and show the house as a part of a much longer building, since largely demolished. There was also a window on display with a bunch of “graffiti” – the signatures of tourists. These scratches can be considered vandalism of a valuable historical resource, to be sure, and if anybody were to try it today I’m sure they’d be in big trouble, but from a history of tourism perspective it’s pretty neat. 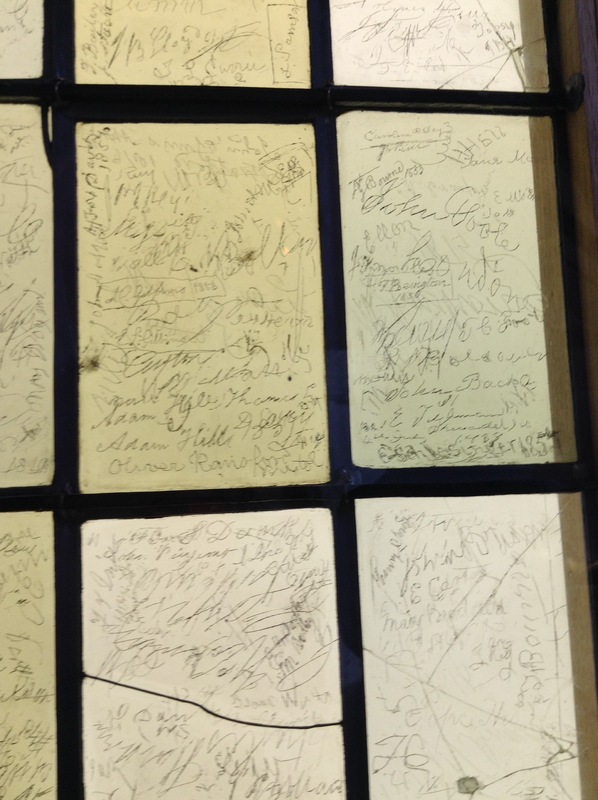 Some of the signatures date from the 1810s and include now-famous figures. 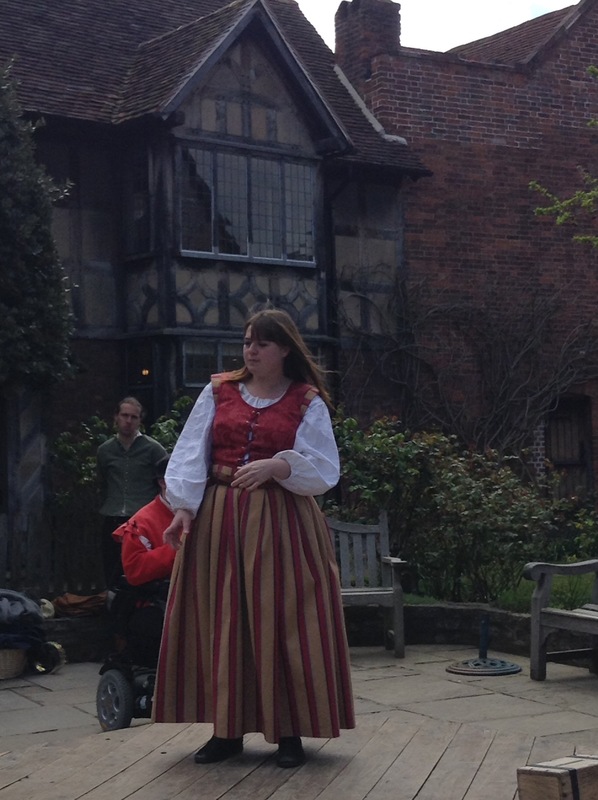 We had a great conversation in Hall’s Croft with the guide there about the history of the structure. He told us the common historical myths he had to bust: no, they weren’t all that short in the past. He told us how Downton Abbey and other popular costume dramas have changed the assumptions lots of visitors make: no, servants didn’t sleep upstairs so they’d be out of sight. 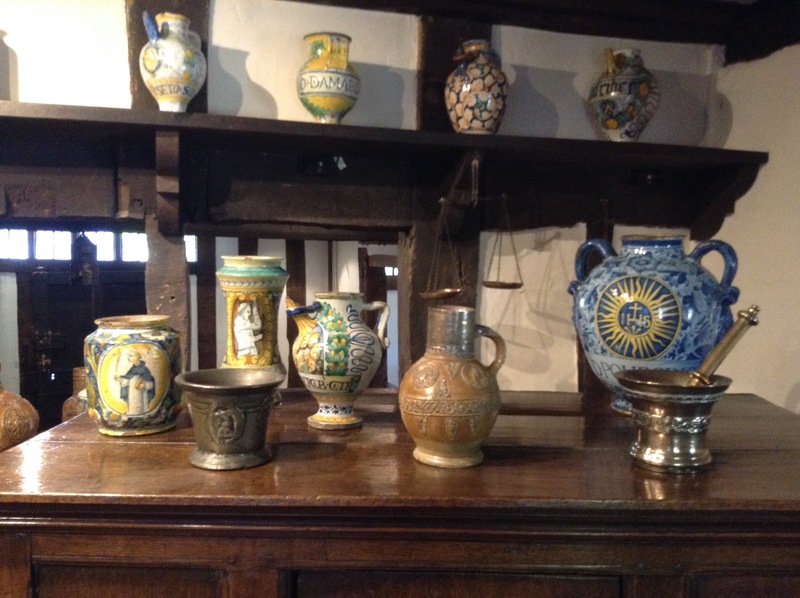 In Tudor times they were treated more like family than servants in the Edwardian era. Public history is constantly evolving! 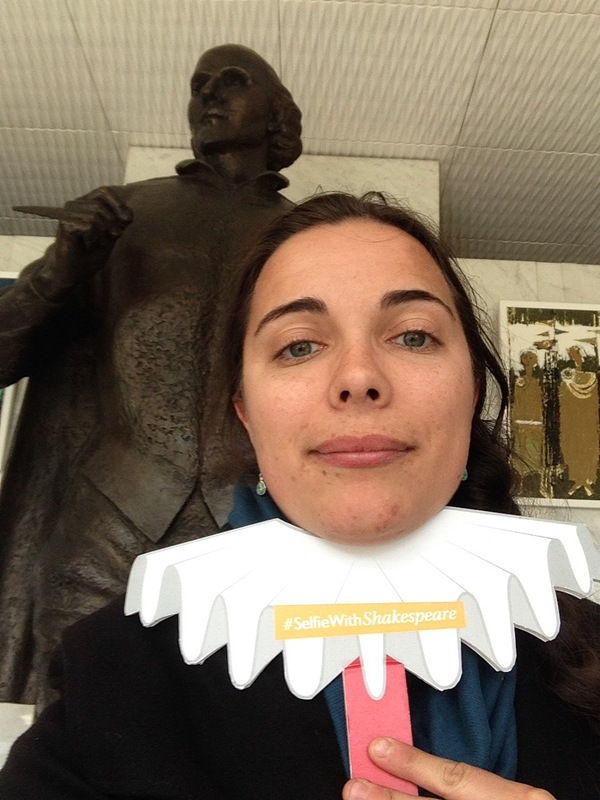 Speaking of which… As a fan of both alliteration and social media engagement at historic sites done right, I quite liked the #SelfiesWithShakespeare idea. see Let’s see if the hashtag gets any traction! I was even more pleased by the human element of the historic sites we visited – what I would call historical interpreters but others may call guides or animators. 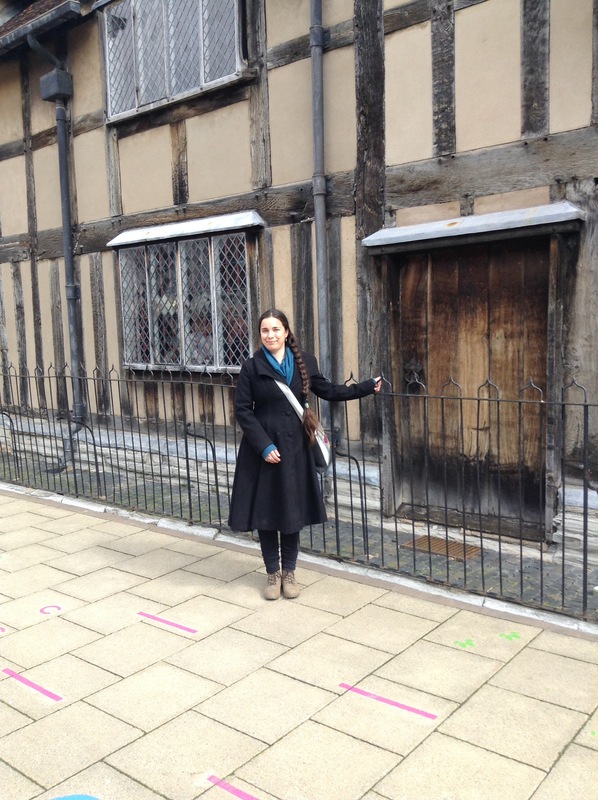 We arrived at the Shakespeare birth house just as the day was starting to get busy, but all we spoke to had time to answer our questions and engage us personally. They had a set of actors who, upon your request, could recite your favourite soliloquy or scene. Upstairs in the house, there was a man who told us the origins of a few local place names. 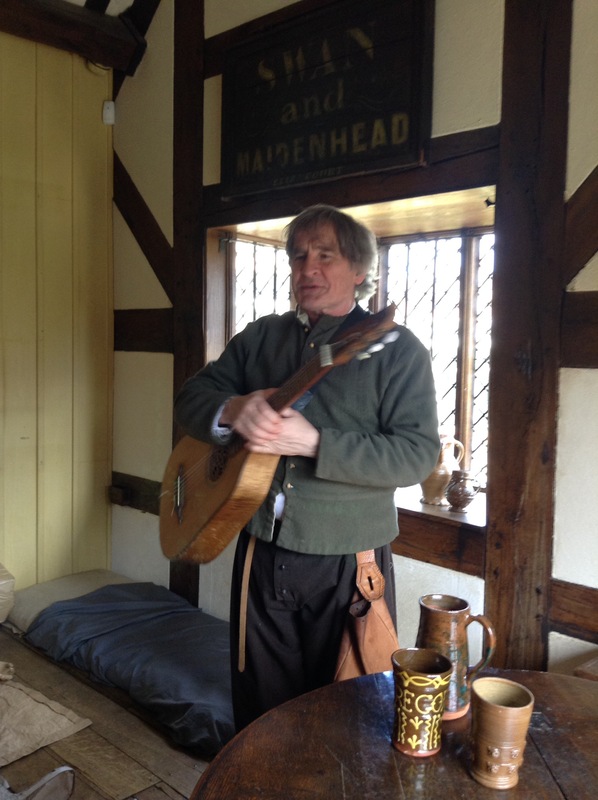 He also sang an old Tudor song about soldiers, partially in French, for a family from France with kids with minimal English. As a bilingual interpreter myself, I wholeheartedly approve! He created a personal connection to his audience and linked the language back to the subject he was interpreting. And he was an enthusiastic singer with a great voice! Outside, a man in historical clothing spoke to us in strict first person interpretation. (The others in costume seemed to be in flexible first/third inpersointerpretation, which worked well for the questions I was asking them.) 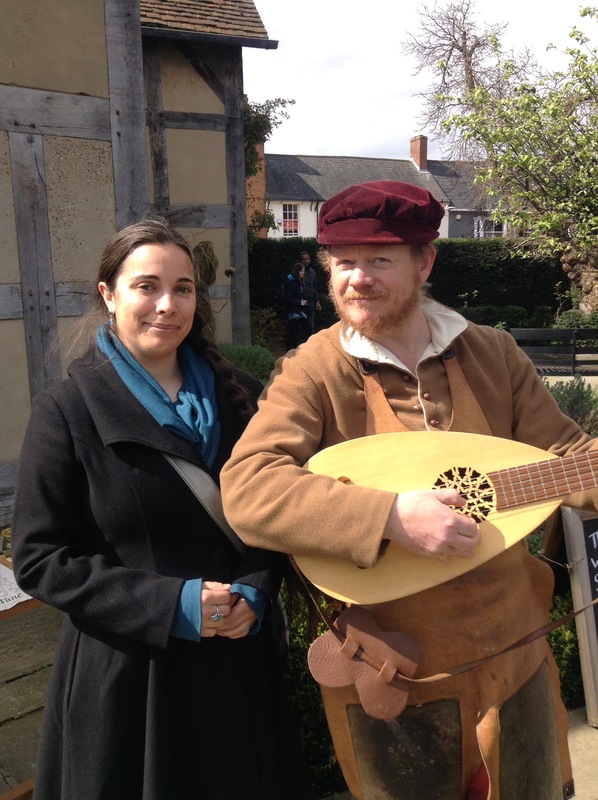 He had a lute! He asked me about my marital status, and upon finding out I was a spinster, appealed to my father, saying he had a brother with a good trade: a cooper. 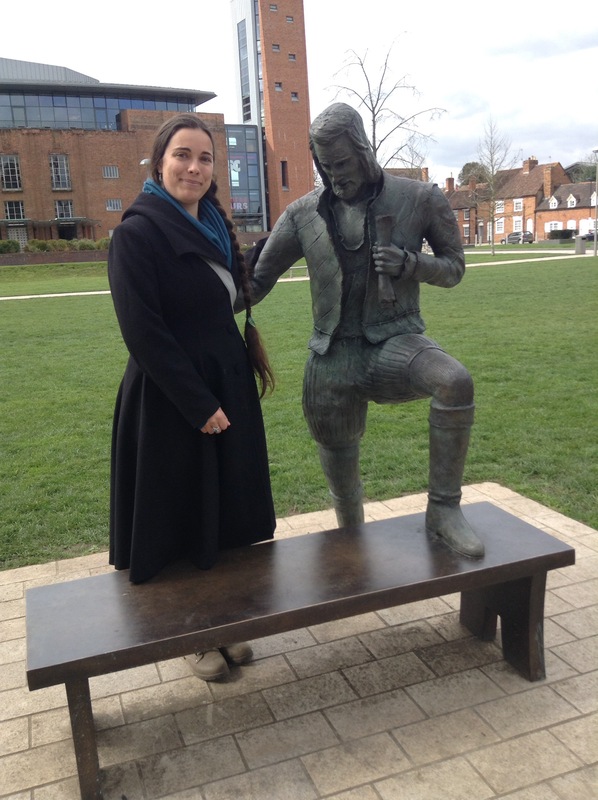 Then he sang me an innuendo-filled song to warn me of the dangers of young men who wished to ply me with “Watkin’s Ale”. He also demonstrated several Elizabethan street gambling techniques. This was to warn us, of course, so we wouldn’t be cheated. One involved a folded and coiled belt. I had to put my finger in the loop we thought was on the inside. I won once and dad lost twice. The other involved cards – an invention so new that the man had to explain which of them (e.g., Ace, Jack, King) were good cards. He won but he likely cheated. How to set would he have gotten four Aces? Good thing my father didn’t bet any of his meagre earnings! Woah, Lauren!!!! Love the pics! So jealous;) Did I ever tell you, I am a descendant of Willie’s? On his mum’s side?